Up to 50,000 new jobs will be created in Sydney as the Federal Government is set to announce today a $200 million plan that will make the city a hub for future industries and hi-tech manufacturing. The Daily Telegraph and other sources have reported that Innovation Minister Kim Carr will formally make the announcement later this morning. Almost half of a $500 million funding from a national innovation policy will be allocated for Sydney to create new and hi-tech manufacturing industries, and attract investment to the city. 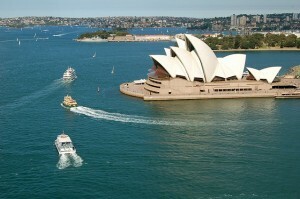 “Sydney will be Australia’s global gateway for innovative new industries that create tens of thousands of new high-tech, high paid jobs of the future and add billions to export revenues with three new industry partnerships in the growth sectors of transport, financial services and ICT,” said Mr. Carr in the Telegraph report. 30,000 jobs are expected to be created in Barrangaroo, with the area being tagged as the location for the national precinct of the new Financial Services Innovation Partnership. The project has the potential to boost Australia’s financial services exports by $1.2 billion, which could eventually rival that of Singapore and Hong Kong. The second industry hub will be at Rhodes where a new transport and logistics centre is set to be established and linked to a similar base in Eveleigh. The centre will be home to large companies such as Linfox, Patrick Container Ports, Sydney Ports Corporation, Bombadier Transportation and Downer Rail which will be collaborating with western Sydney University to conduct global research and create new manufacturing industries. The third precinct is planned for Sydney’s inner west where up to 6000 digital and creative industry jobs will be created. “This is a first for Australian industry policy,” said Mr. Carr.